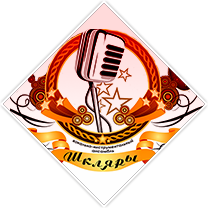 Glassworks "Neman" is a company with century traditions of glass melting. In 1883 on the bank of the river Neman Julius Stolle and William Krajewski organized glass production. Our products have a special style. The harmony of beauty and elegance, combining modern design and classic forms make products popular, recognizable and stylish. At present OJSC "Glassworks "Neman" is a modern enterprise equipped with new machinery for the automatic industrial production of insulation staple glass wool of high quality – NEMAN+. 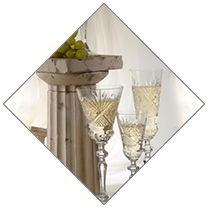 A wide range of crystal and glass products for table setting and interior decoration, original gifts and gift sets, exclusive products from colored glass - all that you can buy in our retail stores. Tourists from many countries come to us to purchase unique art works , to see the work of glass blowers , visit Glass Museum, which contains products of incredible beauty and just admire the beauty of these places. 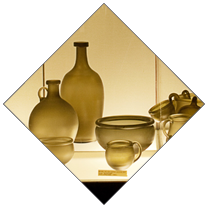 After all, the whole history of the city is associated with the development of glass industry.